Enable to keep the maps always north up. Choose which categories of POI you wish to see on the route. Automatically zooms-in and out of map in Navigation mode for optimal overview of the route ahead. 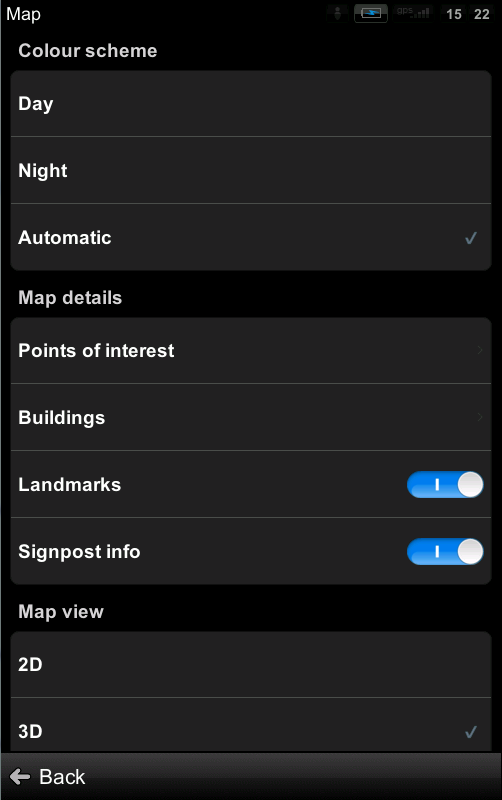 Turn on to see photos on map in Map Browsing mode. Fullscreen mode for smartphone devices. Enable to see current street.